Is it possible to get football fans to put their rivalries aside and support one cause? Prostate Cancer UK set out to answer this question when it decided to redefine its long-standing partnership with the sport. The answer, it seems, is yes. 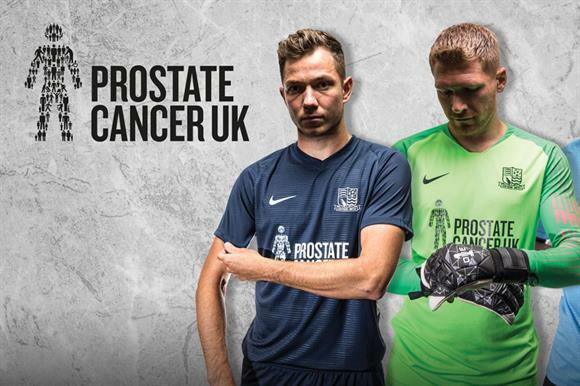 This season two sets of rival teams from the English Football League Championship – Nottingham Forest and Derby County, and Queens Park Rangers and Millwall – will unite off the pitch through their 2018/19 campaign to help Prostate Cancer UK raise vital funds and awareness of the disease. Jake Martens, football project manager at Prostate Cancer UK, says the charity was looking for a "new and innovative" partnership and realised it would be "a very rare thing for two sets of rival fans to support one team: Prostate Cancer UK". Partnerships involving football teams have raised a total of £3.3m for the charity in the past six years. It expects the new partnerships to continue this boost to its funding. "Through these partnerships, we will continue to use the power of football to increase fundraising and awareness by reaching men at higher risk and supporting those going through prostate cancer," Martens says. The four clubs are supporting the charity through a number of initiatives including dedicated match days, collections during fixtures, stadium events and Prostate Cancer UK’s Football to Amsterdam cycle ride. Martens believes that, by talking about prostate cancer in the familiar surroundings of football, the charity will build trust with male fans, who will feel more comfortable engaging with what can be viewed as a "scary subject". The deal is being supported by former England player, now Derby County manager, Frank Lampard, who has long championed the charity’s work and says it is excellent to see the club continuing that support. He also recognises the suitability of football as a platform for spreading awareness about prostate cancer. "Football remains a fantastic vehicle for driving awareness and raising funds to combat the disease, which will affect one in eight men in their lifetimes," he says. The EFL joins a team of partners for Prostate Cancer UK that includes the Vanarama National League and Southend United, all with the aim of strengthening the charity’s influence in the UK’s most dominant sport. "Awareness is a massive thing," Martens says. "If we can raise that knowledge about prostate cancer for men that are at risk, that’s a massive plus."